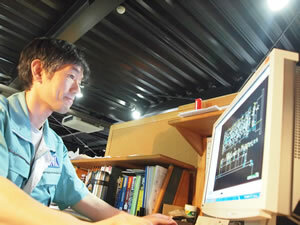 →All CFP tooling parts are made in SYVEC’s plant so that we can assure required quality. →Tooling should have the best condition when manufacturing on-ground. Therefore we consider metal expansion and make tooling part proper size at underground level. →SYVEC covers whole processes; tooling design, part making, assembling and maintenance for the thorough quality assurance. SYVEC has the design skill which achieves sub-micron precision. In addition, stamping analysis has been focused on. With forging, structural and intensity analysis, we infer if there are any possibilities to form. Therefore, minimum prototype cost is needed. 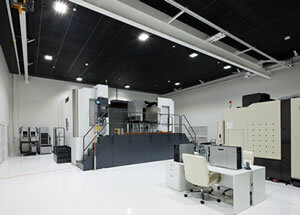 Most of high spec machines that SYVEC possesses are the specially developed ones. 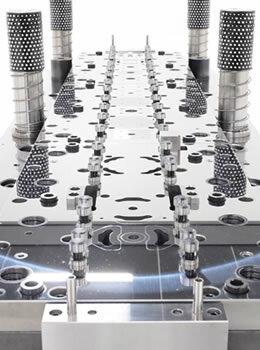 The best quality tooling is made by these machines and operating know-how. Operators’ skill is also an essential element. 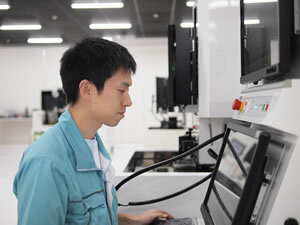 Those make part high precision tooling parts with a profile accuracy of less than 1μm and surface roughness of Ra0.024μm. What we built in order to achieve sub-micron accuracy is the Underground Factory. This plant is strictly controlled its room temperature 23+/-0.3℃ and vibration since even little temperature change and vibration affect the precision. Copyright © syveccorporation All rights reserved.